According to the British Prime Minister Theresa May, the government believe that Russia is the party responsible for the incident. Novichok, Russian for ‘newcomer’, is thought to be the poison used and it is part of a group of nerve agents which can kill within minutes. Therefore preventing the leaking of a dangerous chemical is crucial. According to the BBC, if a person becomes exposed to the poison, they should remove their clothing and wash their skin with soap and water. Also, they should rinse their eyes and be given oxygen. Unsurprisingly, the chemical warfare weapons allegedly used in Salisbury fall under the remit of the UN regulations on transportation of dangerous goods. Therefore the containers in which they are stored should have undergone extensive testing to ensure that they can securely hold the chemical without leaking of a dangerous chemical. These regulations are set out in the UN dangerous goods handbook, which sets out how dangerous chemicals (ranging from Novichok to rotten potatoes) can be transported and stored globally. An example of such a container is made by Saab with their CBRNe range. CBRNe stands for “Chemical, Biological, Radiological, Nuclear, and high yield Explosives” and is used by militaries and companies across the globe to transport the most dangerous of substances. In addition, the inner and outer packaging should be able to withstand ~95kPA of pressure differential. In addition to the standard tests, the containers must comply with packaging note P620 which explains how a package must be packed, and what associated information should be displayed, such as warning labels and instructions to the shipper of what to do in the event of the leaking of a dangerous chemical. 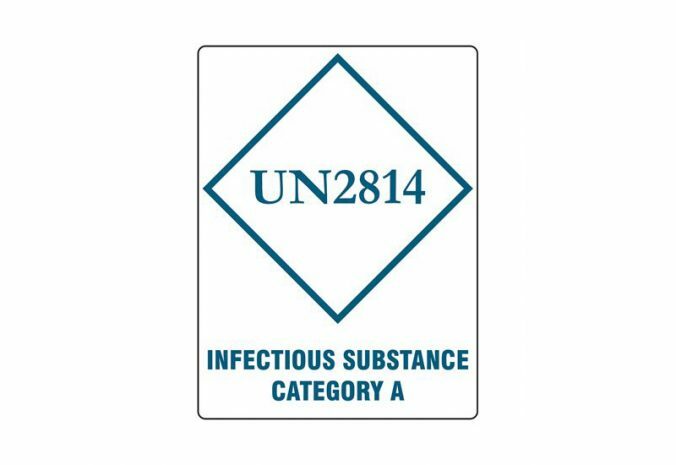 Many of the infectious substances shipped in this type of packaging are covered by the UN numbers UN 2814 and UN 2900 and will be regularly shipped for a range of peaceful activities such as medical research. While the poison ‘Novichok’ used on the spy isn’t being sold in today’s markets, a number of other potentially lethal dangerous goods are transported regularly in the UK. It is a legal requirement to make sure that the chemicals deemed as dangerous goods are packaged safely. Any company involved throughout the supply chain of these goods should ensure they are fulfilling the requirements and if in doubt seek expert advice. Impact Solutions have a wealth of experience in testing containers for UN dangerous goods transportation to prevent leaking of a dangerous chemical, and can offer advice and testing of any dangerous goods packaging. As an authorised laboratory of the VCA-DGO (the UK competent authority) we can undertake the testing to lead to certification. If you have any questions, please email us at info@impact-solutions.co.uk or phone us on +44 1324 489 182.